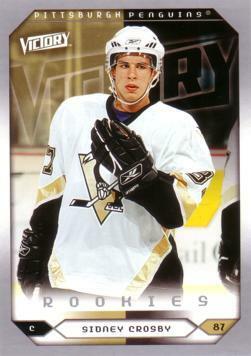 This is a true rookie card of the Pittsburgh Penguins star Sidney Crosby. All cards are shipped in new soft sleeves and new protective top loaders. All cards are shipped the following business day via USPS 1st class mail, and typically take 3-5 days to arrive. If you need it faster, contact me. Testimonials and References can be viewed here.